Aran knitting wool is a classic yarn that is traditionally used to create beautifully detailed cable jumpers. Between a Double Knit and Chunky, Aran is now more popular and widely used than ever. Blending the traditional wool with acrylic means that this yarn really delivers the best of both worlds. More affordable and lightweight, it is incredibly soft, strong and durable. 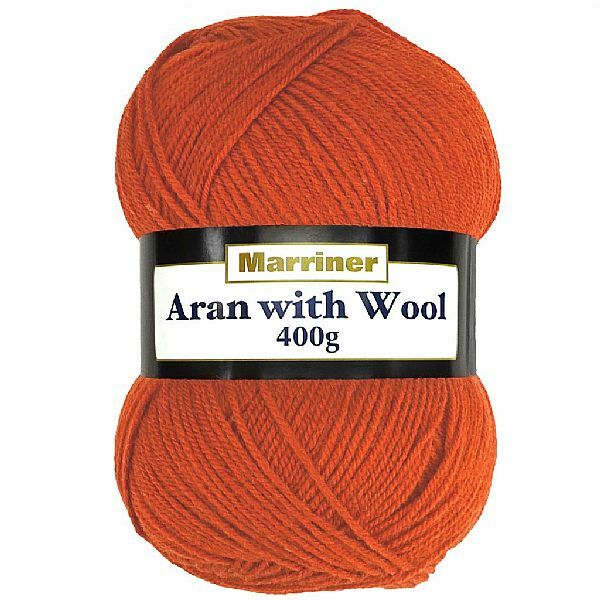 Offered in large 400g balls, our Aran-with-wool range allows you to create so many different projects from just one or two balls - working out at less than £1.74 per 100g. Great for traditional cable jumpers, but also perfect for any Aran pattern, as well as blankets, furnishings, accessories and other knitting or crochet projects. The beautiful, earthy tones in our Aran-with-wool range reflect the traditional aspect of the yarn while still looking to the here and now - all while still being machine washable at 40 degrees.